Orbiting around our planet are thousands of electronic satellites that make great targets for urban astronomers like ourselves. And, there are a number of useful tools and apps that will help you locate them. 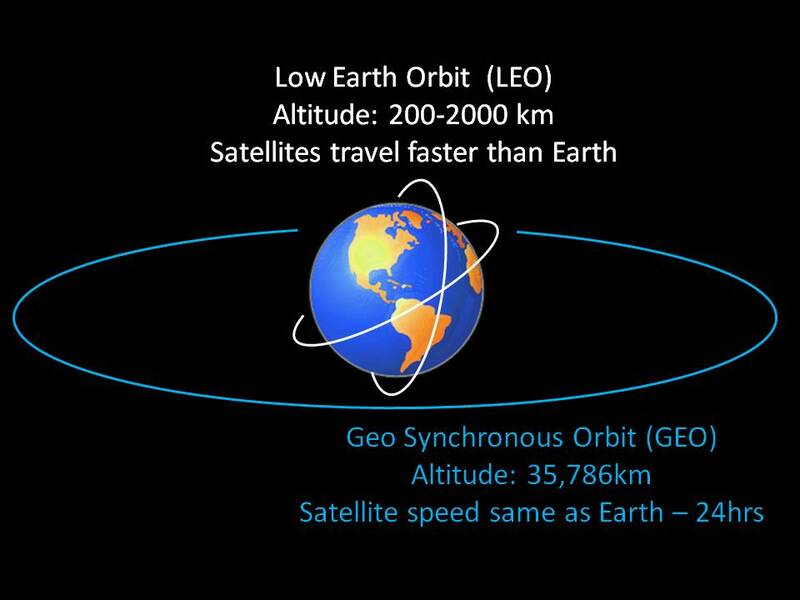 A common misconception is that the easiest satellites to spot are those in geosynchronous orbit (GSO) which stay positioned above the same place on Earth. This is not true, as these satellites orbit at a distance of 35,786km, from which they cannot be seen as they have no light of their own. 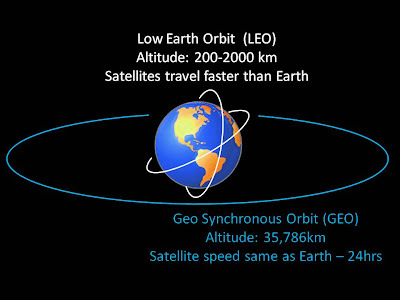 The easiest satellittes to spot are those closest to us in low earth orbit (LEO), orbitting between 200km-2000km above the Earth. 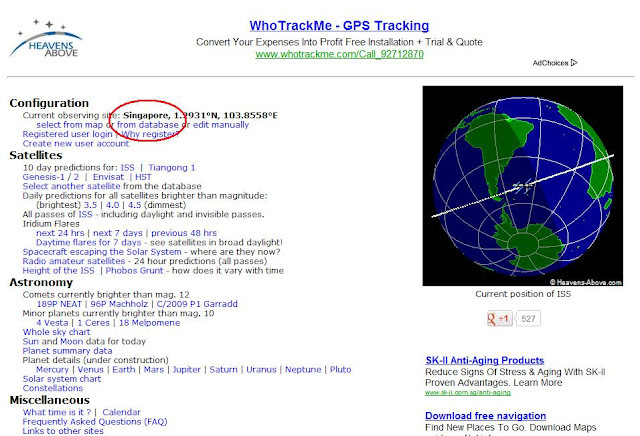 Such low orbits cause them to travel around the Earth 10 or 15 times every day, occassional travelling above Singapore. 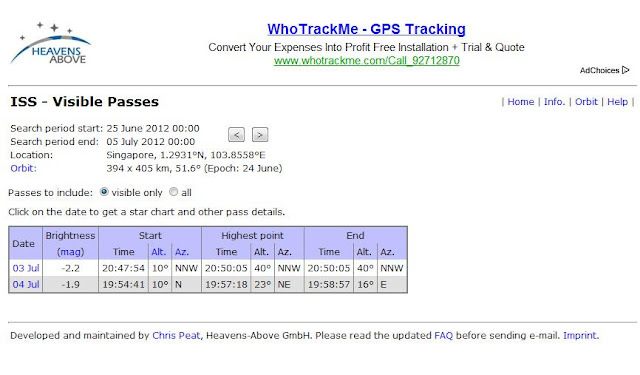 A good website to find dates and timings of visible satellittes is Heavens-Above. Once there, the first thing you must do is set your location. This is done under the "Configuration" menu: click "from database" and type in and select your city .i.e. Singapore. You can be more precise by manually inputting your longitude and latitude or selecting from the map, however I often found these options give you the timings in UT (universal time/GMT) which is minus 8 hours from Singapore time,which is a be a bit confusing. Selecting your city from the database gives the local timings. Once your location is set, just click on a satellite name. The brightest satellites are usually the International Space Station (ISS), Hubble Space Telescope (HST), Iridium Satellites (very bright communication satellites) or maybe China's Tiangong 1 space station. After making a selection you will be presented with a table of information for all the visible passes for that particular time period. This information includes the brightness or magnitude. The lower the number the brighter the object will be. Negative numbers indicates that the satellite will be brighter than most stars. Satellites with magnitudes greater than 2 or 3 maybe difficult to spot in a light polluted environment. 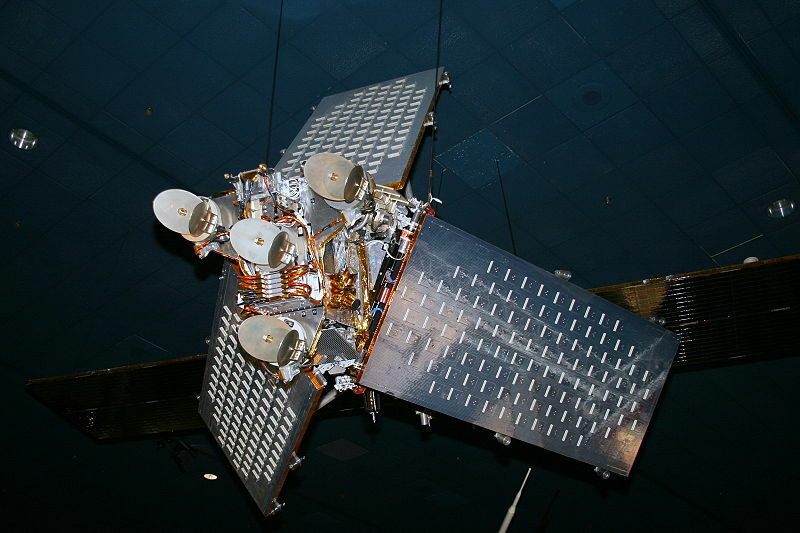 The timings are given in 24hour format (HH:MM:SS) along with the altitude (height) and azimuth (direction) of the satellite at that particular time. 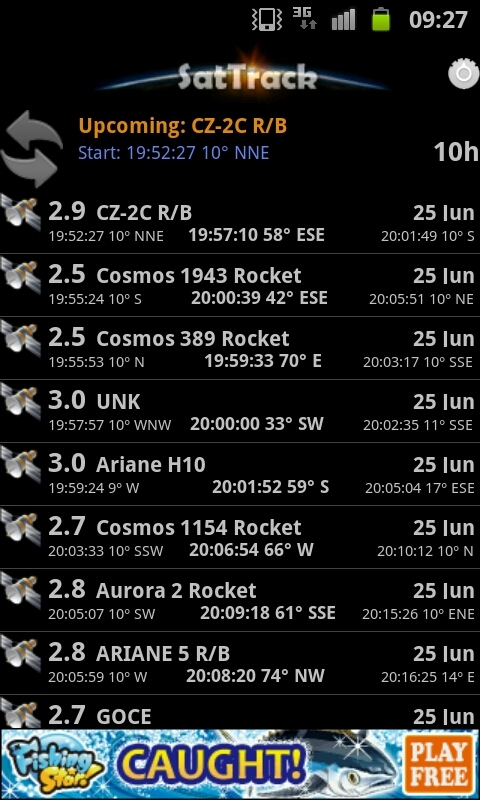 Some satellites are visible for several minutes, so their start and end timings/positions are stated separately. 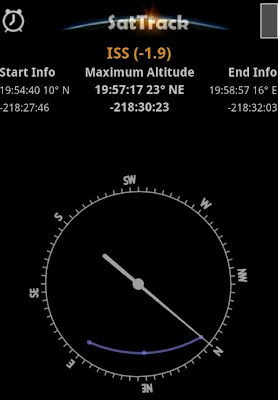 The highest possible altitude is 90 degree (directly overhead). Altitudes below 30 degrees may not be visible from some locations due to trees or tall buildings. 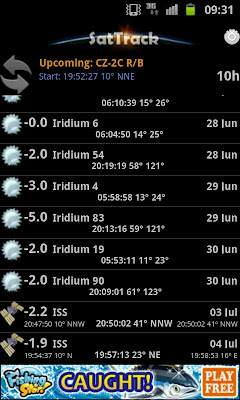 Iridium Satellites (http://en.wikipedia.org/wiki/Iridium_satellite_constellation) are only visible for a few seconds so usually only one time period is stated. Because of the shape of their solar panels, they only reflect the sunlight for short period of time but the reflection is very intense and quickly fades from view, this is known as an Iridium Flare. Again, the first thing is to set your location using your GPS, once that's done you'll get a list of all visible satellites passing over your location. This even includes various rockets and other space junk left behind in orbit. Its best to use the settings to filter the most visible ones. 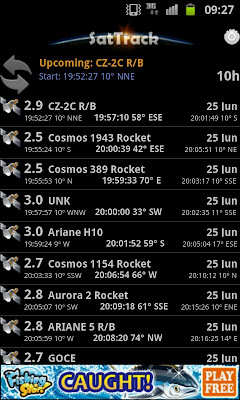 Basically, anything brighter (lower) than magnitude 2.5 and higher than 30 degrees in altitude should be easy to find. 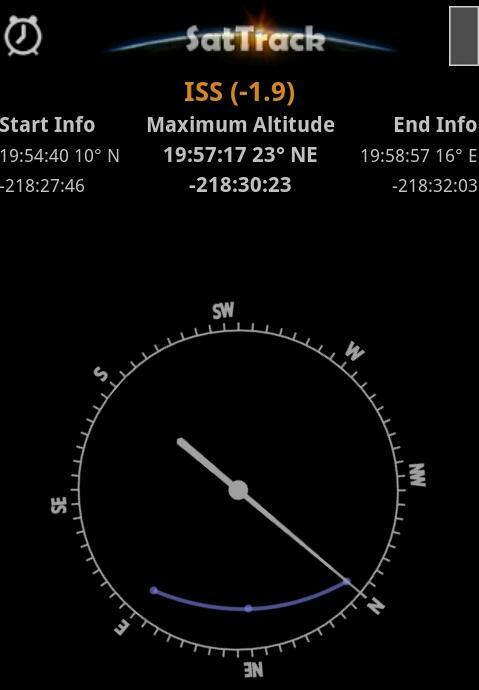 Once you select a satellite, you'll be presented with the magnitude, timings, altitude and azimuth as well as a handy compass which indicates the location and direction in which the satellite will travel across the sky (the purple line). The app sometimes sends you notifications, when a satellite pass is due to start but you can also select an extra alarm/vibrate setting for those satellites you do not want to miss. 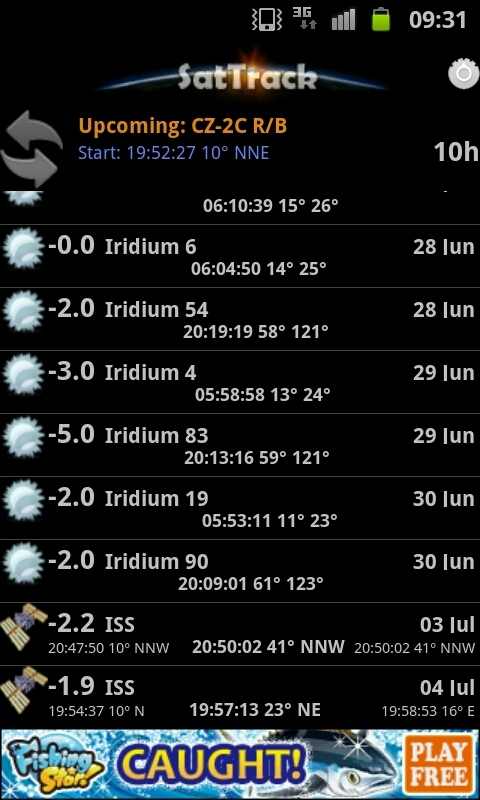 Look out for those bright Iridium Flares and ISS sightings over the coming week.